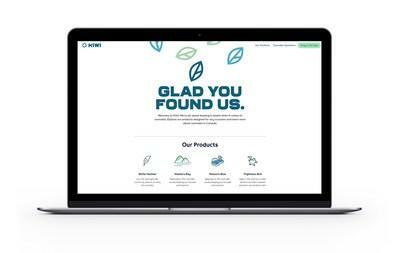 TORONTO , Sept. 17, 2018 /CNW/ - Maricann Group Inc. (MARI.CN) (75M.F) (MRRCF) (the "Company") through its wholly-owned subsidiary Maricann Inc. proudly announces the launch of Kiwi - a straightforward, modern approach to cannabis and the first from the Company's House of Brands - available to Canadian consumers of legal age on October 17, 2018 . Maricann is launching Kiwi as a brand designed to help Canadians learn and experience the product in a straightforward, simple and "jargon-free" way. Rather than launching with technical strains that might confuse new consumers, Kiwi will debut four variants that are easy to follow, regardless of background or expertise. Available in dried flower formats, Kiwi's simple naming system consists of White Feather (High CBD), Hawke's Bay (Balanced), Nelson's Blue (Mid THC) and Flightless Bird (Mid-High THC), which are playful takes on Kiwi's New Zealand -inspired name. Each strain will deliver reliable, consistent sensations that are easy to enjoy. "We're in the middle of a rapidly growing industry; one that has sparked a lot of curiosity among consumers. We've built Kiwi to streamline the information and clutter of products - so that cannabis is accessible to a wider public and Canadians can make smart, informed decisions on where we fit in their wellness routine and lifestyle," said Geoff Kosar , Vice President of Sales & Marketing. "At its core, Kiwi is a celebration of the simple pleasures, and that starts with simple, straightforward communications." Working as Kiwi's Master Grower, industry veteran Jennifer Ayotte brings her exacting standards and dedication to delivering quality cannabis to Maricann's state-of-the-art facilities in Langton, Ontario . "Cannabis can be simple, elegant and easy-to-understand," said Jennifer Ayotte , Kiwi Master Grower. "When the right measures are set in place for consistency, quality and safety, it's easier to see that what we're really talking about are plants." Visit kiwicannabis.ca for more information on how to simplify your self-care. Maricann is a vertically integrated producer and distributor of cannabis for medical purposes. The Company was founded in 2013 and is based in Burlington, Ontario, Canada and Munich, Germany , with production facilities in Langton, Ontario where it operates a medicinal cannabis cultivation, extraction, formulation and distribution business under federal licence from the Government of Canada . The Company also has production operations in Dresden , Saxony, Germany and Regensdorf, Switzerland . Maricann is currently undertaking an expansion of its cultivation and support facilities in Canada in a 942,000 sq. ft. (87,515 sq. m) and will continue to pursue new opportunities in Europe .